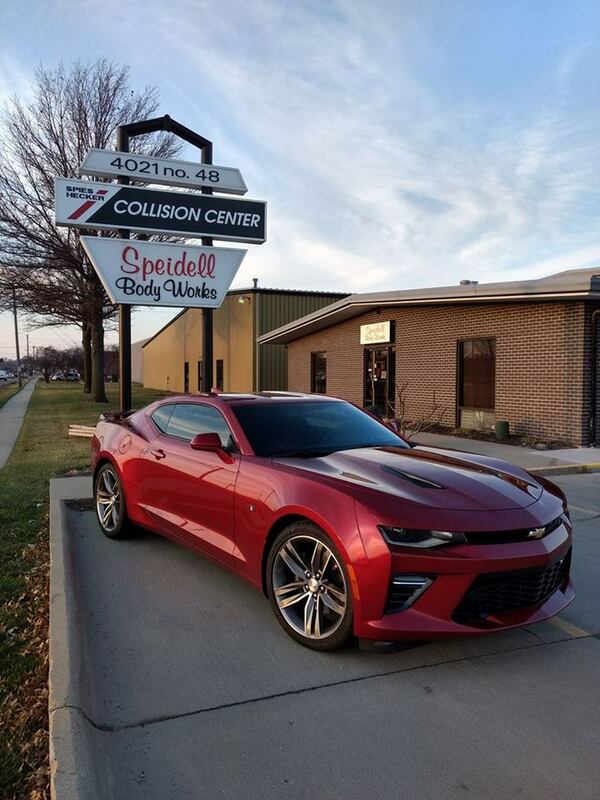 Speidell Body Works was founded in May 1990 by Todd Speidell specializing in classic car restoration, custom painting, and muscle cars. As time passed and operating expenses increased, our body shop focus shifted from restoration to collision repair. 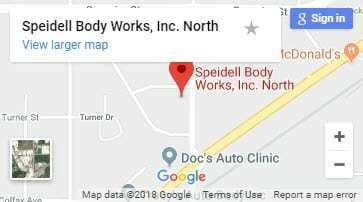 In July 1998, Speidell Body Works moved to the current location at 4021 North 48th Street, just North of Cornhusker Hwy. With the move to a visible location, the change to 100% collision repair, and our quality reputation came dramatic business growth. 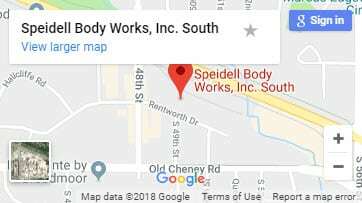 In December of 2001 Speidell Body Works, Inc. South was opened at 4900 Rentworth Dr., just South of Hwy 2. In the first year of operation Speidell South nearly matched the annual sales of Speidell North, proving to be an asset to our South Lincoln customers. In November 2002 we purchased the building at 4021 N. 48th Street, tripling our shop space to more than 9,000 square feet. The total square footage of the North building is 19,500, allowing us ample space for future expansion. “My vehicle came back cleaner than the day I bought it”. These are the types of comments we commonly hear from our customers. Every vehicle is cleaned before we begin repairs to expose all of the damage and to give us the cleanest possible paint work. Upon completion your vehicle is cleaned again and detailed including wash, vacuum, windows, interior cleaning, wheels and tires at no additional charge! We encourage questions about the repair process and claim handling. We know that an accident is never a pleasant experience so we try our best ot make the aftermath as trouble-free as possible. Because insurance repairs are 90% of what we do, we are very knowledgeable on each companies claims policies. We can help walk you through the process whoever the insurance carrier is. Our goal is to make you a customer for life and we hope you will tell your friens about your experience with Speidell Body Works. Your time is valuable and we strive to get you back into your vehicle just as quickly as possible. We continuously work to shorten the amount of time you are without your car by improving our repair processes. From a complete estimate, 100% dis-assembly and repair planning to parts procurement and detialing, everything we do is geared toward giving you the best quality repair as fast and competitively priced as possible. Lots of companies claim they have great customer service but Speidell Body Works mean it. We will always go out of our way to make sure our customers are at ease and that they feel like their concerns are being addressed.